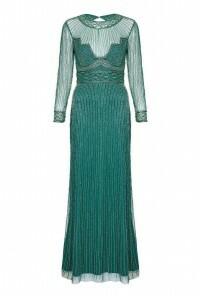 As the new season approaches, we yearn for fresh colours and ideas so this gorgeous Green Gatsby Maxi Dress is just what the fashion doctors ordered! 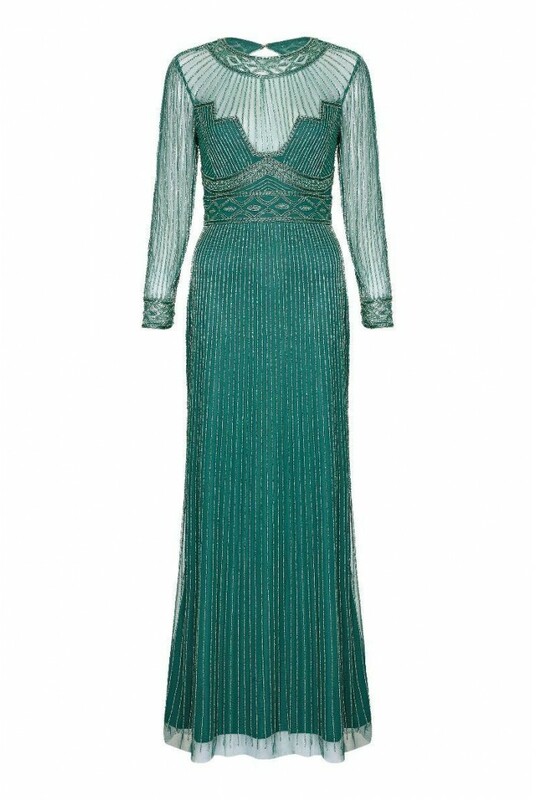 A burst of bold colour, combined with sheer panels, art deco inspired bead work and that neckline - I mean come on, this green beaded maxi is a fashion force to be reckoned with! 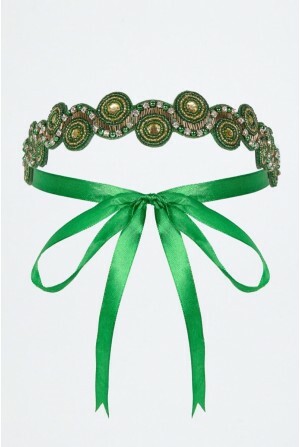 Bridesmaids, weddings guests, formal function attendees, unite in wonder and joy and team this sequinned 1920s dress with green art deco jewellery and a subtle headband to complete the look. - Full length beaded gown in green. 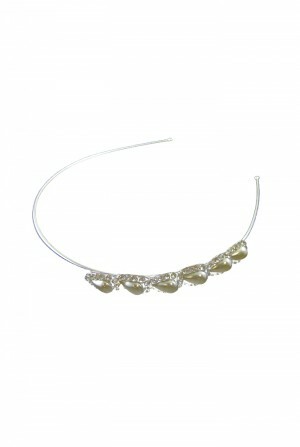 - All over silver beadwork in linear design (like a deco sunburst). - Fitted bodice with geometric sheer panel to bust (all the cool). 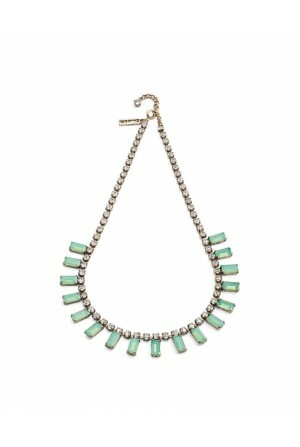 - Open back fastening with hook to neckline.